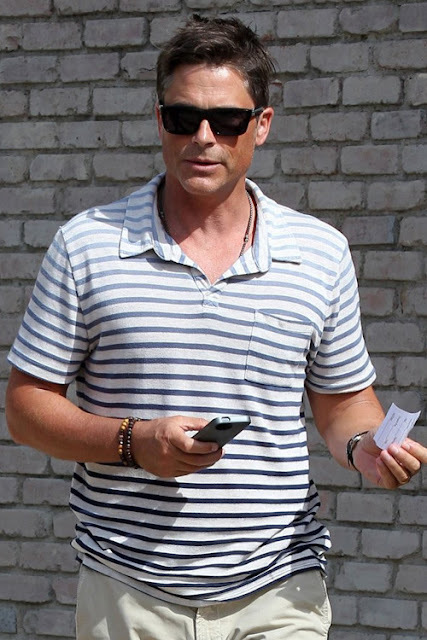 Is your eyes instantly drawn to a certain part of Rob Lowe's body? It's understandable. It was the first thing that caught my attention. Can't believe he is turning 50 soon. He looks so bloody good. What I would give to age as gracefully as he does.......More photos of Rob attending a beach party in Malibu after the jump.